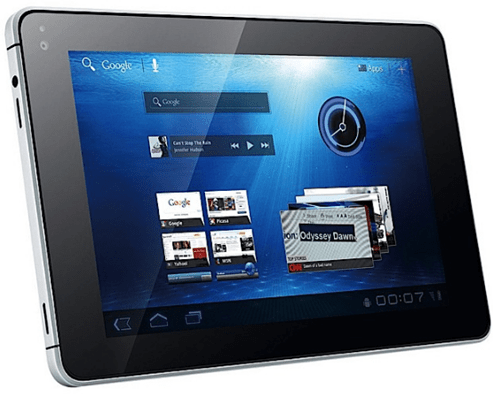 The Huawei MediaPad is a 7 inch Android powered tablet that comes pre-installed with Android 3.2 Honeycomb OS, with support for Huawei Device’s Hispace Cloud Solution. Is it an interesting replacement for the Samsung Galaxy Tab? The Huawei MediaPad also comes preloaded with Facebook, Twitter, Let’s Golf and Documents To Go apps, and powered by a 4,100mAh battery that provides up to 6 hours of usage per charge. No word if this is standby or when running intensive apps. The Huawei MediaPad measures only 10.5mm (0.4 inches) deep and weighs in at only 390g (0.86 pounds). The Huawei Mediapad is expected to be priced at less than 20K for the Philippine market.